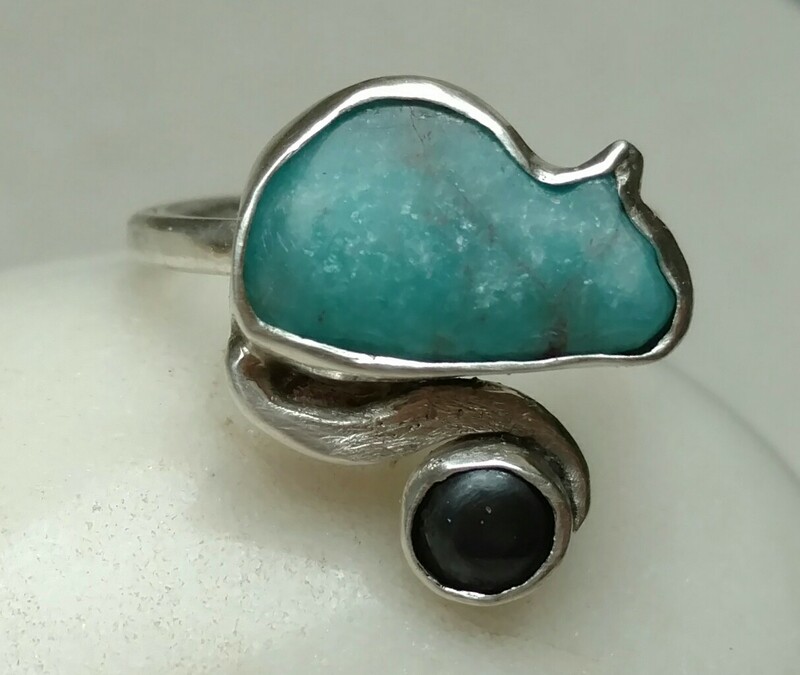 A carved cat ring, the stone has been carved by hand in the shape of a cat body. 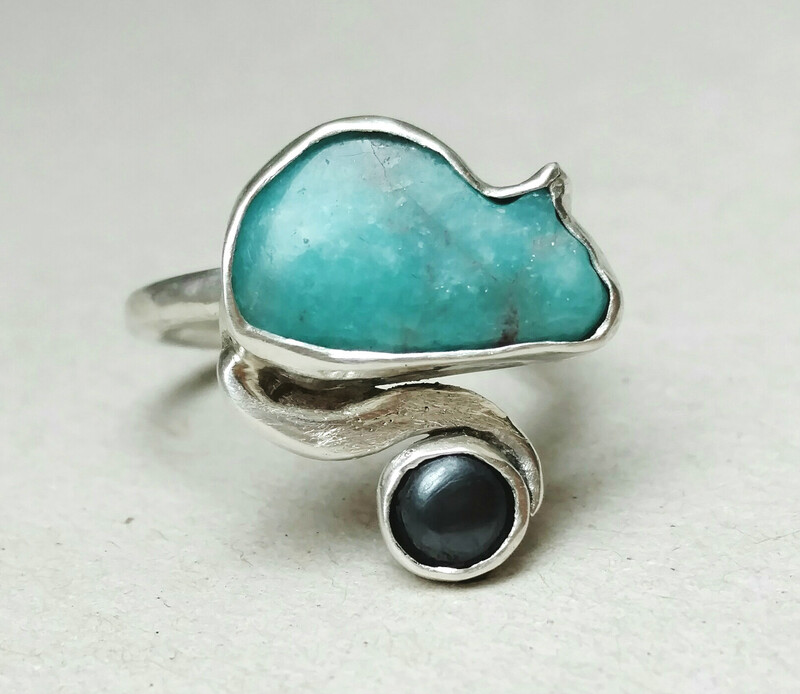 Featuring a 1,2×0,8 cm (0,4×0,2 inch) turquoise colored amazonite and a 4 mm black hematite. 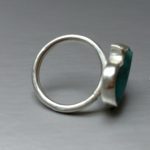 Amazonite varies in color from pale blue and green to deep turquoise. 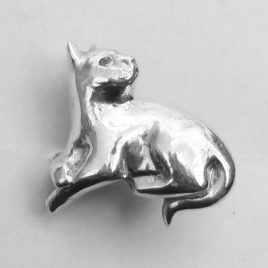 The cat figure has been set in sterling silver frame, which follows the irregular shape of the stone..
A nice and unique piece of designer cat jewellery. 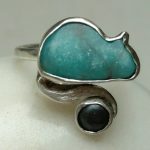 This carved stone cat ring would make a nice cat lovers gift. 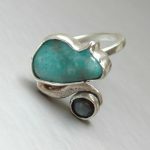 Amazonite is quite a rare mineral. Though it is named after the Amazon river, it was formerly obtained almost exclusively from the Southern Urals, Russia. Being a Feldspar it is soft and has layers. 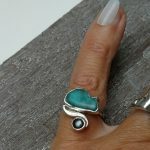 It ranges in hue from bright green to turquoise, and can be translucent to opaque. It has a vitreous luster and iridescence throughout the stone. 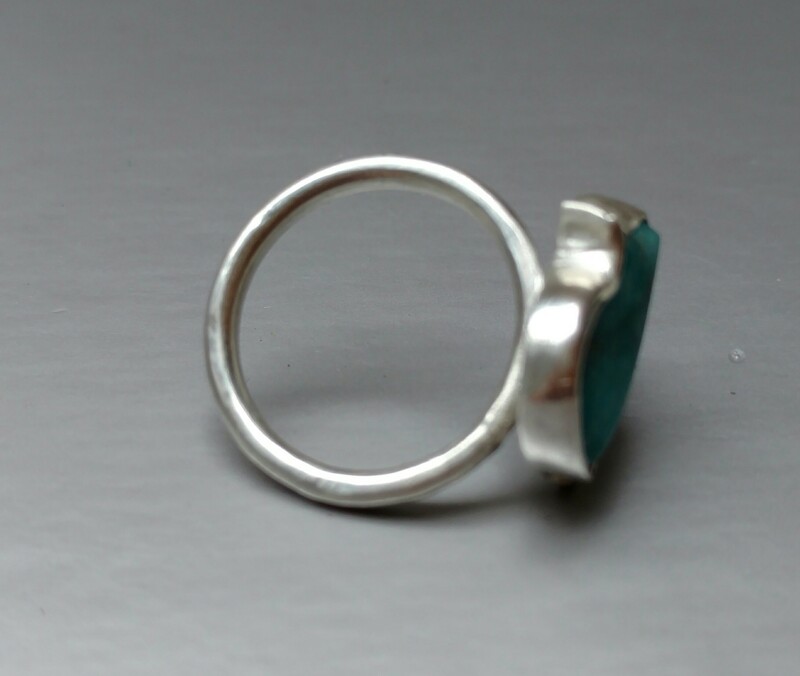 When polished amazonite resembles finely cracked or spider-webbed marble. So the small crevices you see on a picture (10 times the real size) are natural to the stone. 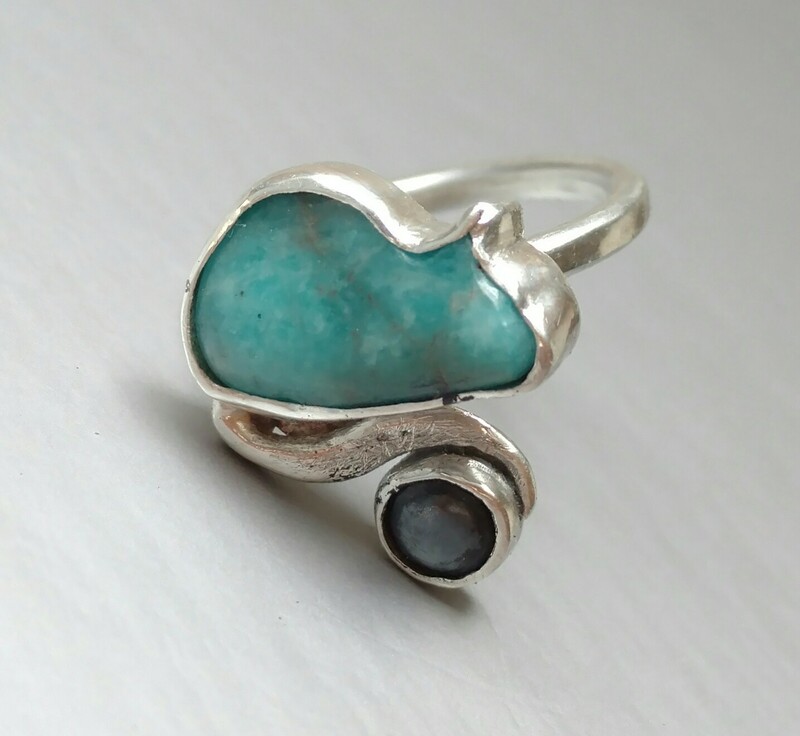 Amazonite has been used in jewelry and stone carvings since the time of the early Mesopotamian cultures. 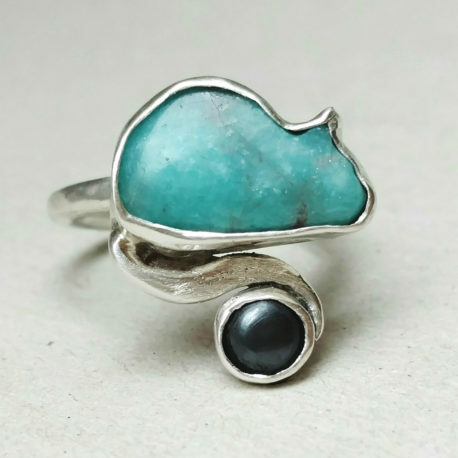 Well-known in India, Egypt, Sudan and Mesopotamia, it was a popular amulet stone and was once used as decorative material for building facades. 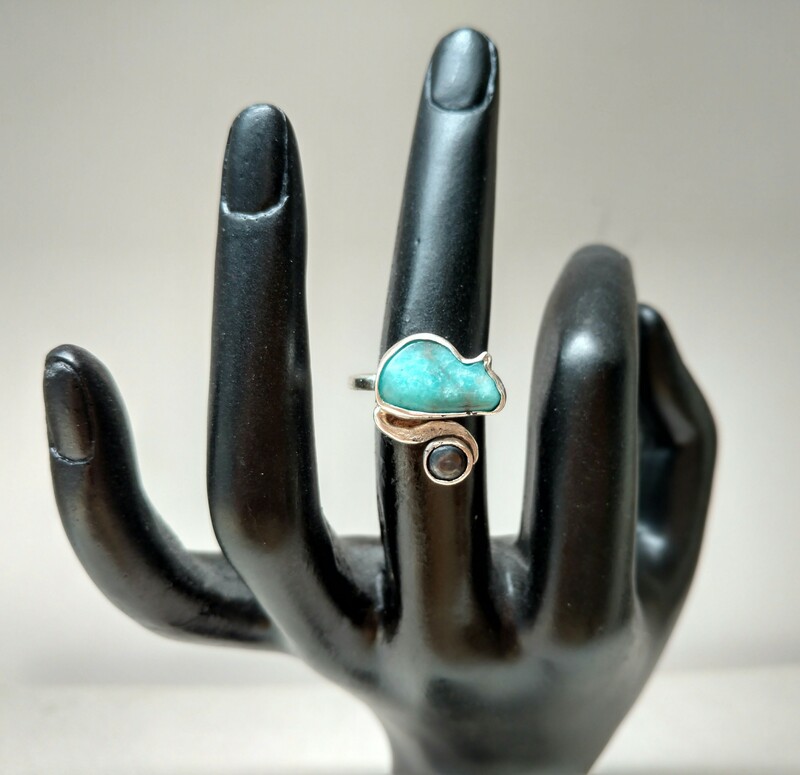 It was carved and cut into tablets for the Egyptian funerary text, Book of the Dead, and an Amazonite scarab ring was found among Tutankhamen’s treasures. 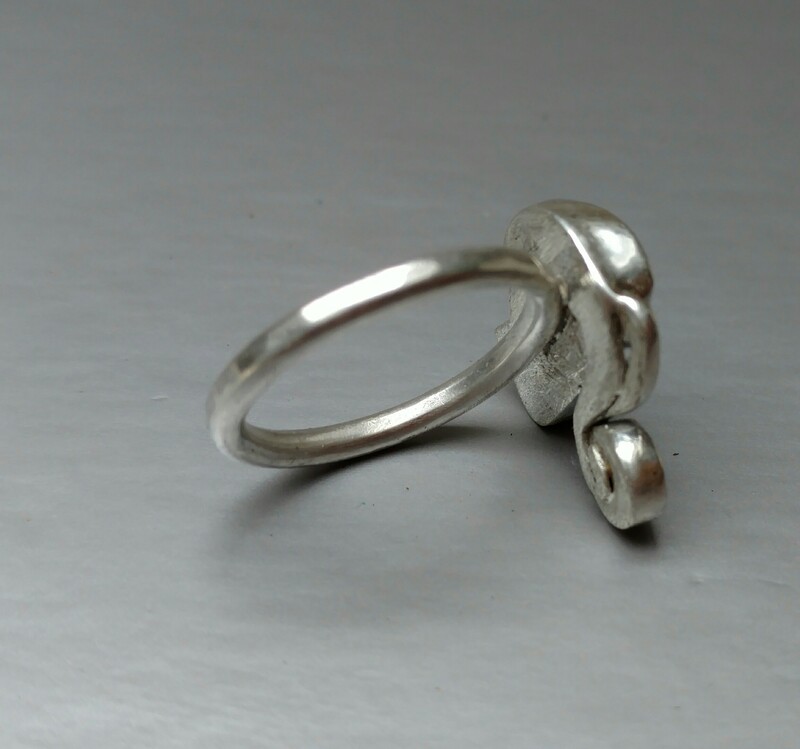 It was believed to be the third stone in the breastplate of the Jewish High Priest. 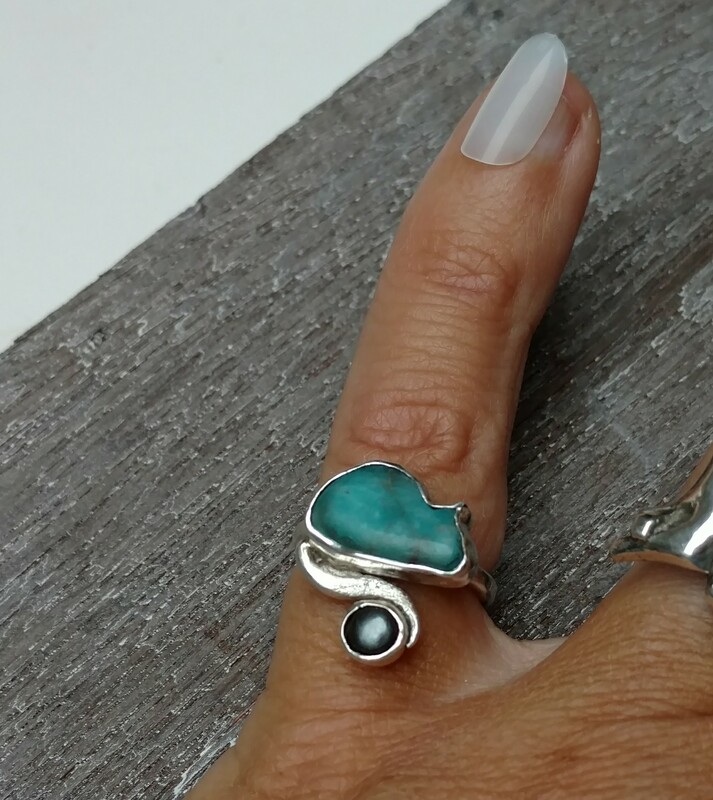 As a powerful talisman of healing and prosperity, Amazonite enhances self-empowerment. It inspires truth, sincerity, honor, self-love, courage, communication, eloquence, integrity, trust, clairvoyance, clarity, prophecy & openness. It can help unlock psychic vision, in analyzing & sorting out information with intuitive wisdom, to manifest & retain Universal Love, to increase faith & foster self-discovery. It carries a soothing energy that cleanses stagnancy & negativity so you can spread your wings & accomplish all you are meant to.